I’m so happy to have Margaret Tanner back again. 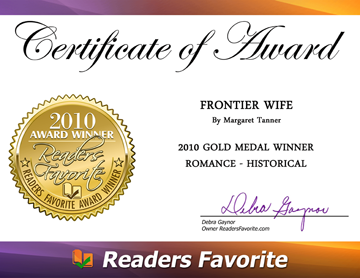 Major kudos to you, Margaret, for winning the 2010 Reader's Fvaorite Award! Wish I could have been in Las Vegas to cheer you on as you accepted this wonderful, well-deserved honor. In Australia the 1860/61 Land Act allowed free selection of crown land. This included land already occupied by the squatters, (wealthy ranchers), who had managed to circumvent the law for years. A similar scheme apparently operated in the US as well, (nesters against the ranchers). The Act allowed selectors (small farmers) access to the squatters’ land, and they could purchase between 40 and 320 acres, but after that, the authorities left them to fend for themselves. Not an easy task against the wealthy, often ruthless squatters who were incensed at what they thought was theft of their land. The Act of Selection was intended to encourage closer settlement, based on intensive agriculture. Selectors often came into conflict with squatters, who already occupied land. The bitterness ran deep for many years, sometimes erupting into violence. Steele Rudd (a pseudonym for Arthur Hoey Davis 14.11.1868 – 11.10.35), an Australian author wrote a story On Our Selection. He based it on his father’s experience as a selector struggling to make ends meet on a small parcel of land. It started out as just one chapter published in a magazine in December 1895 and eventually became the basis for Dad and Dave, a popular radio series which ran from 1932 – 1952. Henry Lawson 1867 – 1922, was born on the gold fields of NSW. Many believed him to be the first poet to capture the Australian way of life. After a childhood ear infection, he was totally deaf by the age of 14, and he grew up to be bitter about his poverty and ill-fortune. In 1888 he started publishing his stories and poems. The Fire at Ross’ Farm, was a classic poem about selector versus the squatter. Robert Black, the squatter’s son, loved Jenny Ross the selector’s daughter. When Robert tells his father about the bushfire (wild fire) threatening the Ross farm, his father said, and I quote these couple of lines from Henry Lawson’s poem, which I feel epitomise the extent of the hatred and mistrust between the squatters and the selectors. I’d bless the fire if it would clear Selectors from my run (run is an old, no longer used, Aussie term for ranch). 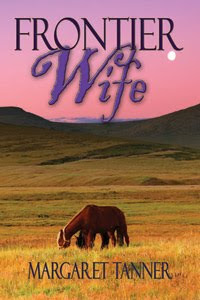 Frontier Wife, my latest release from The Wild Rose Press, is set against this tumultuous background. The heroine’s uncle selected 80 acres for his farm on Adam Muno’s 40,000 acre property. Tommy Lindsay arrives in colonial Australia to claim the rundown farm she and her brothers have inherited. Hidden behind her fragile English rose beauty, beats the heart of a courageous young woman. She will need all this strength to survive the unforgiving heat, and the dangers lurking around every corner. Lost in the bush, capture by a feral mountain family, raging bushfires are nothing, compared to the danger she faces if she gives her heart to wealthy squatter, Adam Munro. Adam Munro scowled as he rode along. What an absolute waste of bloody time going down to see those lawyers in Melbourne. Henry Lindsay's stubbornness had been a thorn in his side for years. He wanted to buy the property back when the old man died. No one could call that unreasonable. I’d have offered them a fair price, damn it. To find out the relatives in England not only refused to sell, but wanted to settle here and start up a horse stud enraged him. He cursed under his breath at the sheer insolence of those Lindsays. Imagine having the gall to take out an advertisement in the local paper and stick up notices in the general store? His lips curled contemptuously. He had ripped down every notice he saw. Warrior. What kind of name was that for a stallion? Probably some broken down old hack. They would get no credit anywhere, he made sure of that. How dare they hog water he desperately needed for his stock to survive a prolonged drought. He would do everything necessary to scare off those wretched interlopers. I’m not prepared to stand by and let any animal suffer while Henry Lindsay’s relatives play at being farmers. If they get in my way I'll trample them into the dust. His hands clenched on the reins. Soon he would be home. He hated the hustle and bustle of the city. A week down there proved more than enough for him. Of course, he combined business with pleasure. Just thinking about the women whose company he had enjoyed caused him to grin. Good to be coming home, though. If only he could get rid of those wretched Lindsays, it would enable him to focus all his attention on the other problem plaguing him. He needed a wife capable of bearing him two or three healthy sons. At thirty-five he did not want to leave it much longer. Unfortunately, he didn’t have many choices. Margaret's bio: I am an author who loves delving into the pages of history as I carry out research for my historical romance novels. I take pride in being historically correct. No history book is too old or tattered for me to trawl through. I have tramped through cemeteries, spent hours in museums. I visited an old jail once and went into the little stone cell, and although it was a hot day, inside the cell it was bone chillingly cold. I wanted to know what it was like to be incarcerated in such a place, as the heroine in one of my novels, was thrown in jail for a crime she did not commit, and yet another heroine was sent to Australia as a convict. 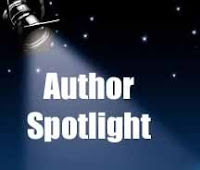 I am a member of the Romance Writers of Australia, the Melbourne Romance Writers Group (MRWG) and EPIC. I live in Australia and I am married and have three grown up sons and a gorgeous little grand-daughter. Thanks for having met at your blog,again. I always enjoy my visits here. I grew up in the Bush and memories there are long. My Dad worked for Squatter families as well as those descended from Selectors and always preferred the latter. They were rarely as rich, but always dealt fairly with their workers. Thanks for dropping by.My Dad worked in the bush too,before the war, he used to tell us quite a lot of tales about it. He always said the poorer farmer treated the workers much better than the wealthy ones. The richer they were the worse they treated their workers. Margaret brings the main ingredient to historical writes, seasoned truth, fair play for the large or small peoples. We hand land runs her in Oklahoma '89'ers we called them, and some Sooners, those who sent ahead clam stake folks before the land run whistle blew. In almost ever bad family there are good souls, as the same can be often said the worthy brood. A melding of the said is what makes for an intriguing write, and that creative, researched meld is Margaret Tanner. She write from where she's walked, stood, and defended. Best to ya, masterful lady from Down Under. And I don't mean hell. Lol. Sounds like an interesting history. We don't hear enough about Australia's history here in the States. Those feral mountain families sound intriguing? An interesting slice of history, Margaret. There are so many similarities between what happened in our West and your Outback, it should intrigue a multitude of readers. I don't know your names but thank you for the two anonymous comments, I really do appreciate you stopping by and for your kind comments. Thanks for dropping by. Yes, American and Australian history are very closely aligned. I guess it might have something to do with the fact that our early settlers originally came from the same countries, and had the same problems to overcome. Wilderness Girl up for Book of the Month!